A Shelter In A Time of Storm, INSTRUMENTAL VERSION begins nice and easy and them takes off. Fun little solo lines passed around by each instrument. Check out the vocal version. 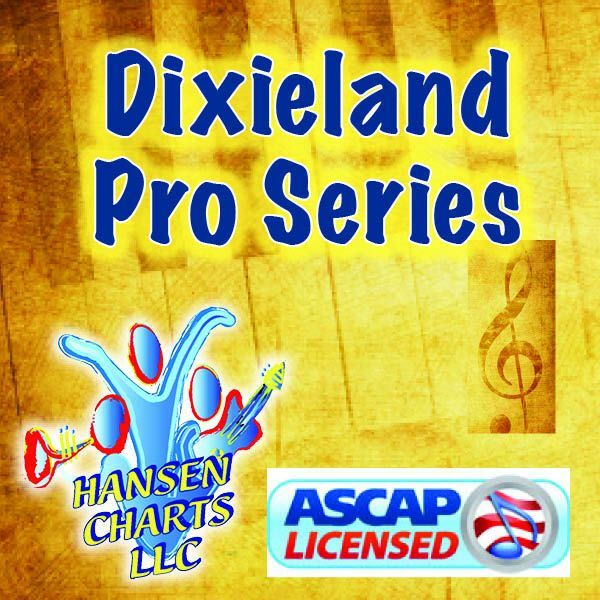 HansenCharts Dixieland Pro Series Arrangements are the cream of the crop instrumental Dixieland features. Originally created for some Church concerts, tours, and some events with Bill Gaither by the Hark Up Down Home Horns Dixieland Band. Instrumentation is normally for trumpet, clarinet, tenor sax (or alto sax), trombone, baritone sax, piano, bass and drum. One piano rhythm part is provided for all the rhythm. Some alternate and sub parts are included. And most likely HansenCharts has other instrument configurations for most arrangements – Just Ask! All parts are written out though sometimes in the studio things change, so the arrangement may be slightly different than the recording. Also check out or ask about the HansenCharts Dixieland Vocal Series. If you plan to purchase more than ONE HansenCharts Dixieland Pro Series Arrangement, then contact us for discounts.